We humans are an impatient bunch. According to Statisticbrain, our attention span has dropped from 12 seconds to 8 seconds in the space of 13 years. 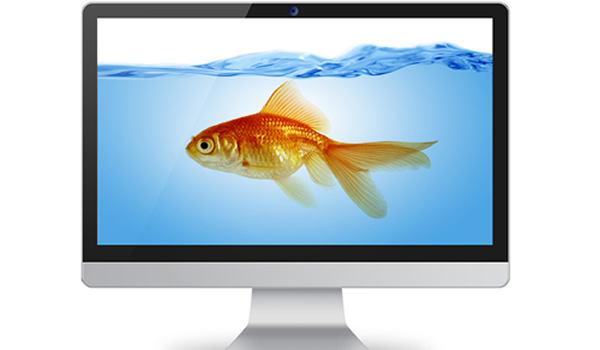 We now rank below goldfish in our ability to stay focused. So how do you engage with people who could be on and off your site in the space of time it takes for you to take three deep breaths? Well we humans are a visual bunch. About 50% of our neurons are devoted to processing all things visual. And this is the one of the keys to maximizing the impact of your content: If it isn’t eye-catching, it isn’t going to hold anyone’s attention. The old adage that a picture paints a thousand words is truer now than ever. We need things to look at not just things to read. Breaking up a wall of text with pictures, infographics and videos will help to keep your customers from losing interest. And ensuring that any visuals are complementary to the text will help make the message more memorable. Content marketing and what buyers really want. Why content marketing is worth the investment. Content marketing is the new SEO. These are great examples of well laid out, visually appealing; informative articles that keep you hooked until the end. Even if you are a goldfish.